Will returning college students amplify bed bug problem? A bed bug as it was in the process of ingesting a blood meal from the arm of a “voluntary” human host. College students are moving into dorms and off campus apartments this week across Michigan. There is a concern the students may inadvertently add to a spreading bed bug problem. 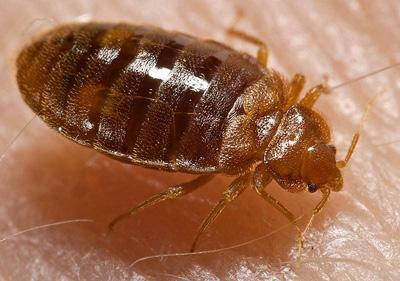 Detroit is among a host of U.S. cities that have seen a spike in bed bug infestations. Many colleges are closely watching incoming students to keep them from bringing in furniture that's infested with bed bugs. James Mc Curtis is with the state department of Community Health. He says students can help prevent the spread of bed bugs by not picking up discarded furniture. "If you bring chairs or couches that are infested with bed bugs then your dorm or apartment can be infested," says McCurtis. McCurtis says Michigan colleges generally do a good job of preventing bed bug outbreaks.